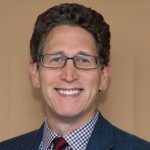 Craig M. Apfel, CIPM is an Account Executive in First Rate’s Business Development group, where he focuses on developing new and current opportunities with prospects, clients, and strategic partners. Craig joined First Rate in 2015 and initially served as the group’s Sales Engineer and Business Analyst. In that role, he focused on providing strategic and technical direction for client-specific projects and managed the business solution side of the sales process. This included analyzing technical components and designing business solutions to solve specific customer problems. Prior to joining First Rate, Craig worked with Goldman Sachs and JPMorgan as a Performance & Risk Analyst, Performance & Risk Manager, and Investment Accounting Manager. His roles included deep dive analysis in performance and risk measurement, portfolio construction, investment due diligence and relationship management with clients, investment managers, custodian banks, etc. 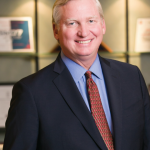 Craig received a BS in Finance from Brigham Young University and currently holds the Certificate in Investment Performance Measurement (CIPM) designation from the CFA Institute. Craig is an active volunteer with the CFA institute, and he serves in his community by mentoring students in both the Marriott School of Business at Brigham Young University and through various volunteer roles in his children’s schools and his church.